Announcing a new page on ochs und junior’s website! The new page is called “honored”, and it’s now linked in the footer of every page. It’s first time we have added content authored by someone outside ochs und junior, so I would like to share the thought behind the decision. When clients receive their ochs und junior, they often email us in strikingly glowing terms. We are always honored by the thought they put into their messages – and because we’ve done everything we can for their watch, we are even a bit proud. “Honored” is a collection of these messages from clients – of course, just the ones who have provided their express written permission. The page format is simple: a picture of the client’s watch, their message, and name. There will be no statements from “John S.” or “Jane G.”. Each message will be signed by the client with their full name. The page is hidden from search engines to protect our clients’ privacy. First, each ochs und junior client pays full price for their watch – we don’t discount. We think this is the fair way to handle sales. And besides, there is no retail margin added to an ochs und junior to offer a discount from. You are purchasing your watch “wholesale”, directly from the manufacturer (ochs und junior exclusively sells its watches directly from its workshop in Lucerne). In general, watch retailers add up to a 50% markup to the price of watches. Second, in addition to doing no advertisements, we have no “celebrity endorsers” or “brand ambassadors”. Marketing activities like these just don’t fit a watch company founded to be Ludwig Oechslin’s uncompromising idea factory. An ochs und junior watch is first about the product, and second about the personal relationship you form with cofounder Beat Weinmann during purchase (and when your watch is serviced). 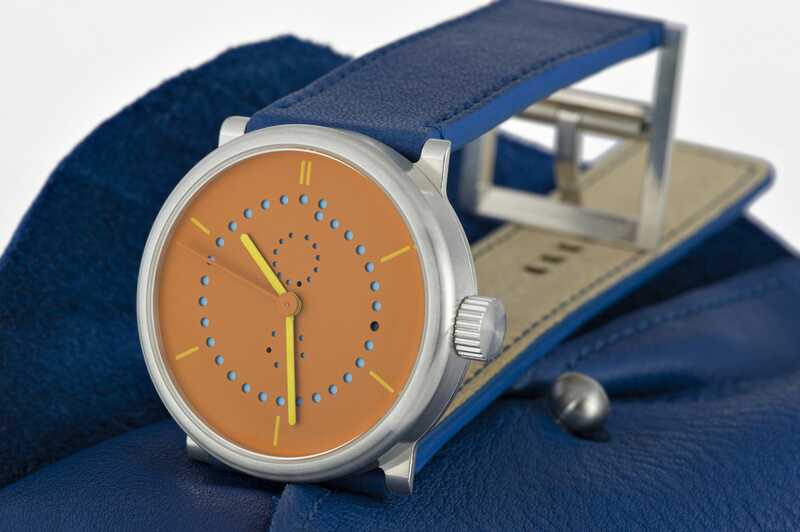 ochs und junior is not an “environment” or “brand” – it’s no accident that the watches have no logo on the dial or the case. The first post on the “honored” page is from Dr. Hartmut Esslinger. Dr. Esslinger has had an illustrious career, which you can read about on Wikipedia. His comments about ochs und junior especially touched me. I moved from my hometown in Florida to work in Silicon Valley after reading books in my local library about how Steve Jobs started Apple Computer. In 1982, Jobs selected Hartmut’s firm to work on industrial design for Apple’s products. Hartmut and his team at Frogdesign created the “Snow white” design language used in Apple products from 1984 to 1990, so his name rang a bell when the order came in. For all of the glowing messages from our clients, we’re honored!